Heavy rains have been experienced since the 2nd week of August. 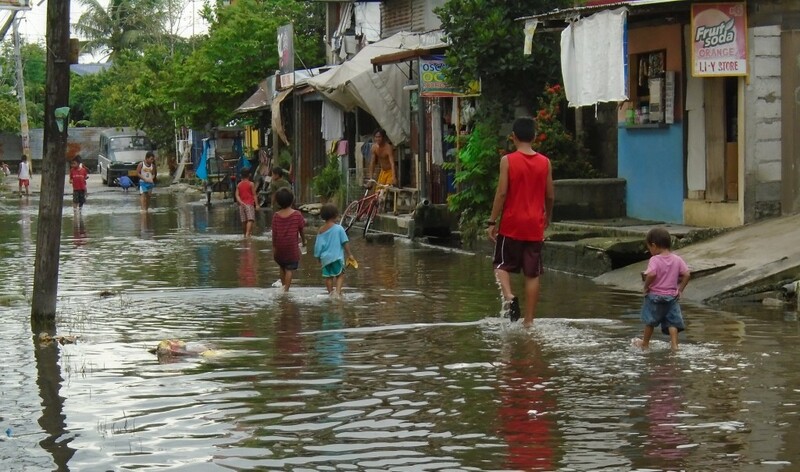 It is of common knowledge that Pampanga has low-lying villages that experience yearly recurring floods during the rainy season. Since August raining started this year, some towns of Pampanga were under ankle to waist-deep floods. Floodwaters continue to rise up every time rain pours down. 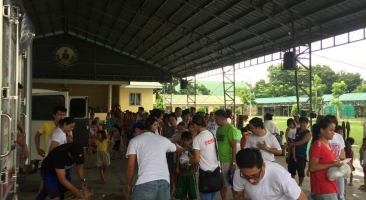 The City Disaster Risk Reduction and Management Office (City of San Fernando) worked hand in hand with local barangays in rescuing flood victims and relocating them in evacuation centers. Pampanga’s Best Inc. has long-been nurturing its foundation, IBACA (Ibayung Cabalantian, which means “Bagong Cabalantian”) that caters to help people from Cabalantian, Bacolor. Through the years, the multi-million company has reached where it is now because of the continual support of the Filipinos. Pampanga’s Best Inc. thought of returning the favor to them and paying it forward to the less-fortunate, thus, the institution of PAMPANGA’S BEST FOUNDATION. Bearing the province name of its homeland “Pampanga”, the foundation realized the need to act promptly with the flood situations. It started to visit and share goods last August 18 to people of Brgy. San Nicolas—relocated in their elementary school and most in Brgy. Saguin’s covered court. At the school, people were welcoming and cooperative. Set-up was different in Brgy. Saguin’s evacuation center. The said basketball court had booth-like cubicles with blue canvass as separations. Surely, there was discomfort spending nights on floor cements, but this wasn’t evident with the warm smiles exuded by the evacuees. August 19—visit to San Agustin elementary school evacuation site, San Vicente covered court, and Moras dela Paz, Sto. Tomas. With the latter covered courts, situation was less likely comfortable—open spaced, all in together. Still, smiles were over any frets. 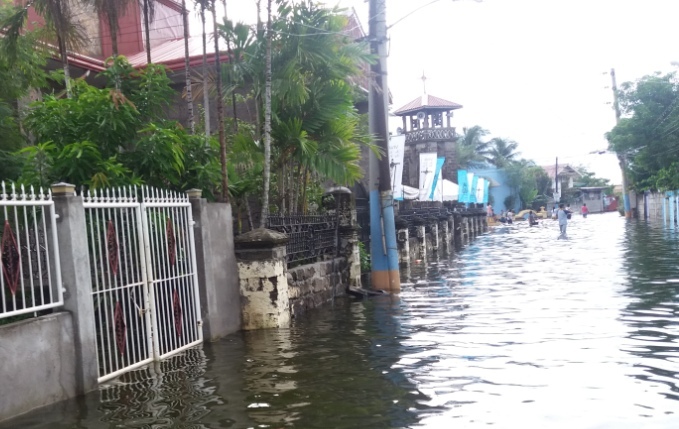 August 20—a couple of Pampanga councilors took the lead in traversing floods to the towns of Minalin, Masantol, and Macabebe. This time, road travel wasn’t quite easy. 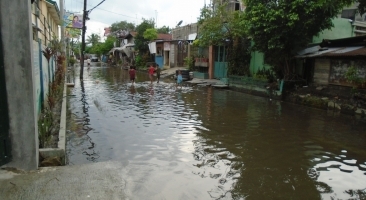 Floodwaters were almost consistently knee-high throughout Masantol and Macabebe. Then again, Filipinos really do stand out with their cheerful aura despite calamities. It seemed that locals are used to this yearly flood recurrence, since they preferred to stay in their houses rather than evacuate. Probing about Pampanga’s situation, others believe that the eruption of Mt. Pinatubo caused these recurring calamity; however, it can be traced that a drainage canal leading to Pampanga swamps passes through the soil series causing the very poor drainage system, and subsequently making some towns to be submerged in flood during heavy rains. 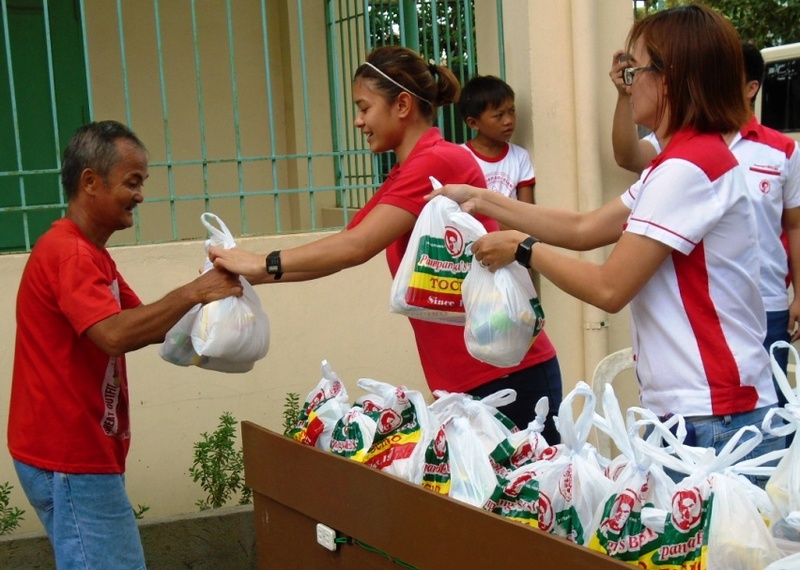 In times like these, Filipinos have their unwavering faith and unceasing urge to help one another and relief operations have been customary; however, the word “relief” is now just a common word to describe the calamity assistance activity. Hope we always remember: “The BEST reward in sacrificing to help others?—Faces of Relief”.